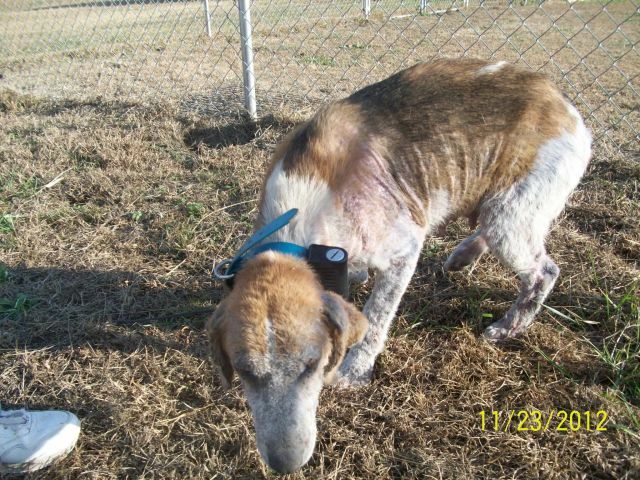 In North Carolina we have not one law on the books that appears to protect hunting dogs, so here we have a sweet very sick hunting dog at a local Animal Shelter still with its radio collar attached to him and we know who the owner is. The Shelter Staff or Animal Control Officers did not and do not have enough compassion for an animal to cut the radio collar off the dog while processing it at the shelter. 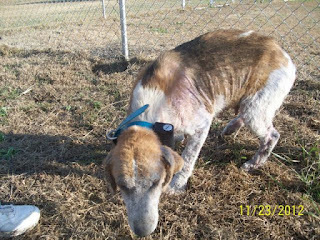 Please note this dog is very sick with mange, scabies and more than likely has never had a single vaccination or rabies shot as North Carolina gives these Hunters a free pass. So to recap, North Carolina doesn’t seem to know how to treat animals unless a law is in place and for a Policy & Procedures Rule book is in each employee’s hand for them to view at all times. How disappointing, disgusting and backwards is this? 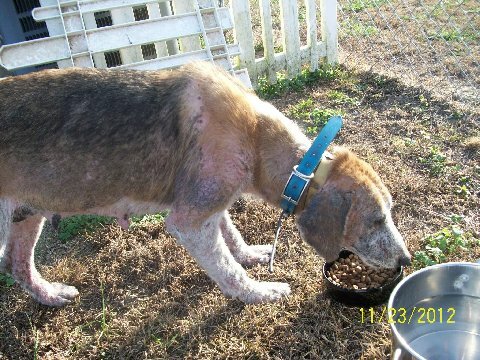 North Carolina, can you not do better than this for the animals of your state? Why is it that you do your best to hide any and all activity in your County Animal Shelters versus just bringing yourselves into the 21 Century and giving these animals the care and compassion they deserve? We are about to step into 2013, while must you stay in 1950? 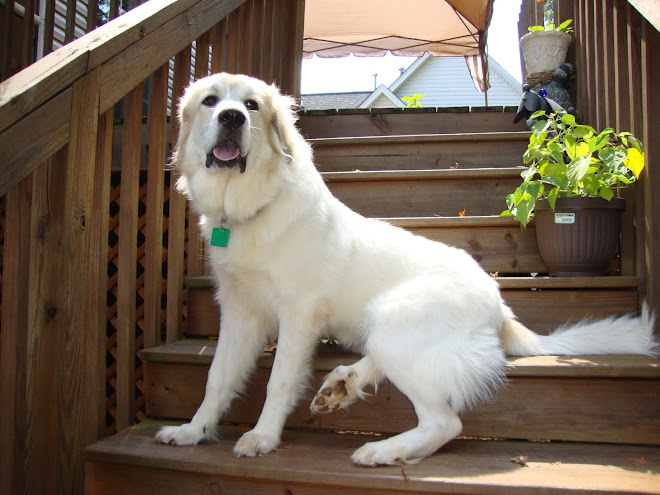 Is there a shelter or rescue specifically for these dogs? I recently saved one off the side of the road. skin and bones infested with parasites they said he was out there for months! It seems I can't find any help with his treatment or anyone who would help by taking him. if I didn't have sighs of my own I could help more and with moving soon and not being able to keep him where is he gonna go where they wouldn't euthanize?? Its a shame there isn't anything being done to help those pups thrown away like they don't live or breathe!! There are many hound/beagle rescue's here in NC. I would suggest go to Pet Finder and over to the left do a search based on either name f organization, breed or zip code, then email those with hounds. Also google NC Beagle and NC Hound Rescue and many should pop up, we have several out there. They might be full at the time but they might be able to futher heo you as well. Best of luck ! North Carolina Hunting Issues, A Must Read ! NC Gas Chambers to kill Shelter Animals must END!